The adorable pumpkins are a perfect Autumn treat! 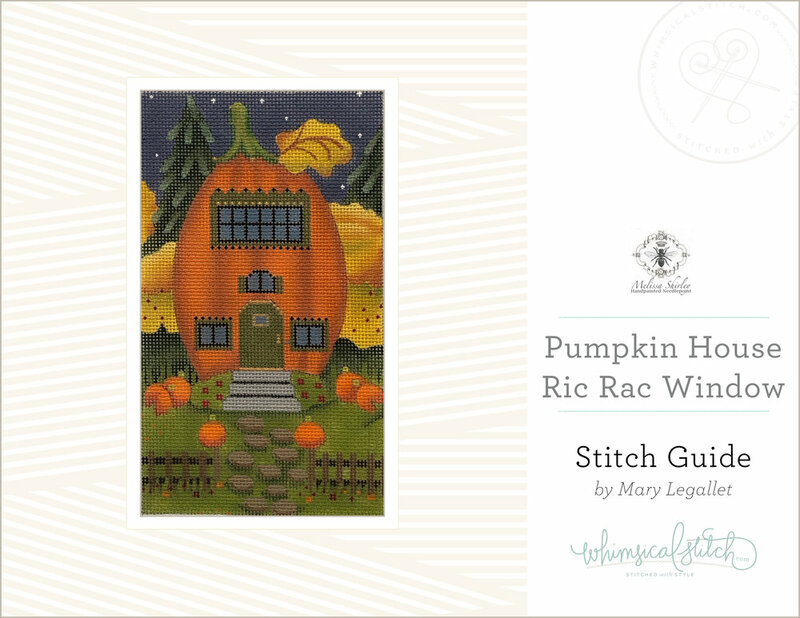 Each pumpkin has a distinct and fun open stitch. You’ll be playing with metallics, silks, beads, sequins, crystals, Painters Threads, Straw Silk, and more beads. They are a blast to stitch. Designed for Melissa Shirley Designs Canvases (from left to right): MSD 2104-A, 2104-B, 2104-C, 2104-D.
whimsicalstitch.com Stitch Guides (from left to right): WS-036, WS-037, WS-038, WS-039. Suggested Retail Price: $60. 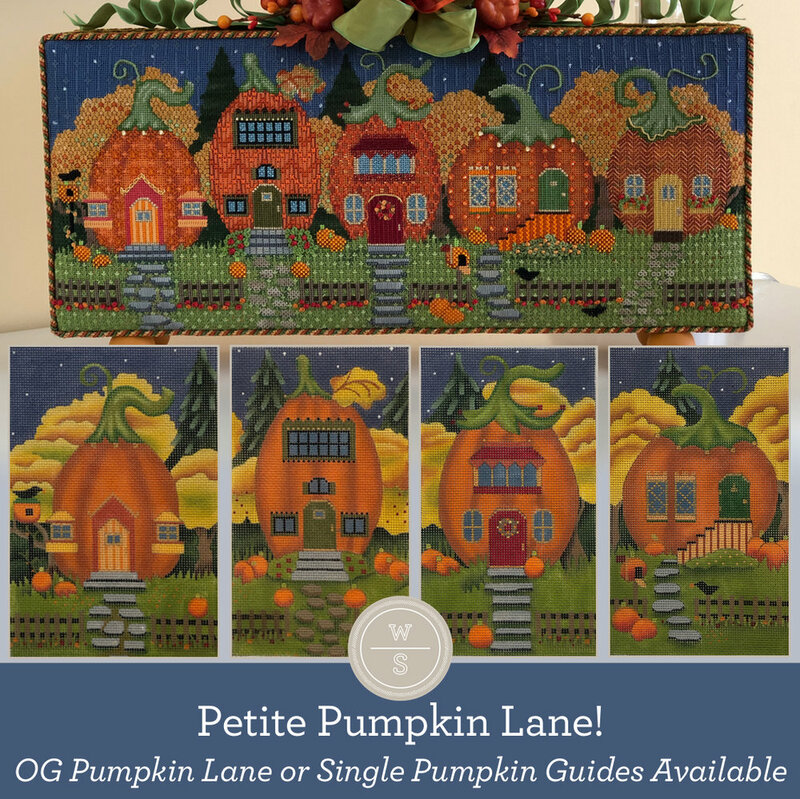 For more information on Pumpkin Lane, visit here.